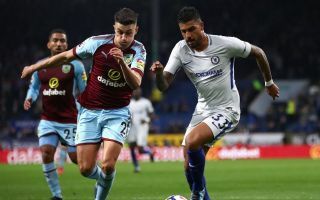 Chelsea left-back Emerson has confirmed he’s not injured in a tweet to Blues fans who seem confused as to why he couldn’t even make the bench for the Europa League game against PAOK this evening. The Brazilian joined Chelsea from Roma in January but has barely featured since then, though the game this evening seemed an ideal opportunity to show what he can do. Instead, Chelsea started with Marcos Alonso as usual as Maurizio Sarri didn’t make too many changes to his team for the trip to Greece. A number of CFC supporters have been tweeting about his omission with confusion, and it seems he may have had a few direct messages as he assured Blues fans he was not injured as he celebrated tonight’s strong result. I'm fine, I'm not injured … Good win today boys, Come on Chelsea!!! ???? Willian’s winning goal in the first half gave Chelsea a 1-0 win over PAOK to get their Europa League campaign to a strong start. Why is Emerson not playing? How has sarri not seen that Emerson is better than Alonso? Odd decision not to take Emerson if he was fit.